Teriyaki holds a special place in my heart. In my non-adventurous days (aka before I ate sushi), teriyaki dishes were my go-to order in the unfamiliar Asian cuisine situation. I believe this has made me a connoisseur of the teriyaki. Well my friends, this is the most flavorful sauce of them all. The fresh grated ginger and perfect balance of red pepper flakes, soy, vinegar, and sugar creates a mouthwatering dish that easily surpasses any teriyaki of my past. There is one thing I seem to be unable to make: rice. One time, I managed to ruin three attempts of rice. Three. Three. How is that possible? I dropped the first on the ground. Burnt the second. Undercooked the third. Now I allow Mr. Rice Cooker to handle all grains. Whisk together soy sauce, sugar, garlic, ginger, red pepper flakes, cider vinegar, and cornstarch in bowl. Trim any outside fat from steaks. Pat steaks dry with paper towels. 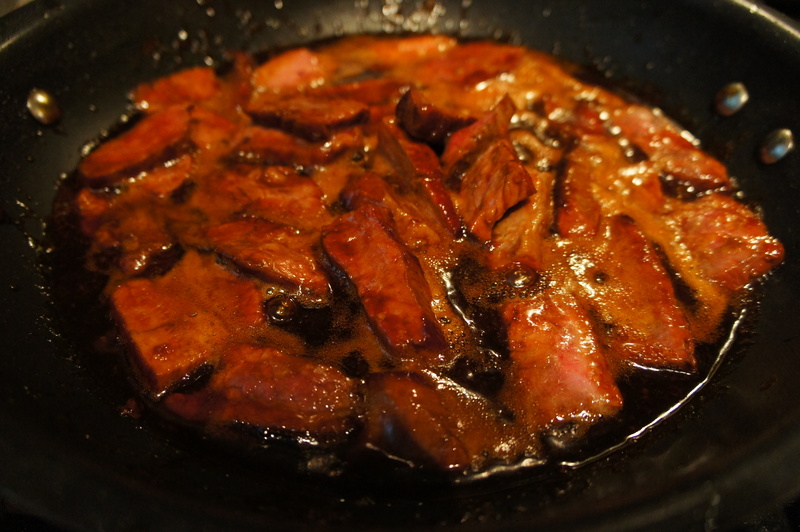 Heat oil in large, nonstick skillet over medium-high heat until just smoking. Add steaks and cook until well browned, 3 to 5 minutes per side. Transfer to plate and tent with foil. Wipe out skillet and add soy sauce mixture. Simmer over medium heat until sauce is thickened, about 2 minutes. 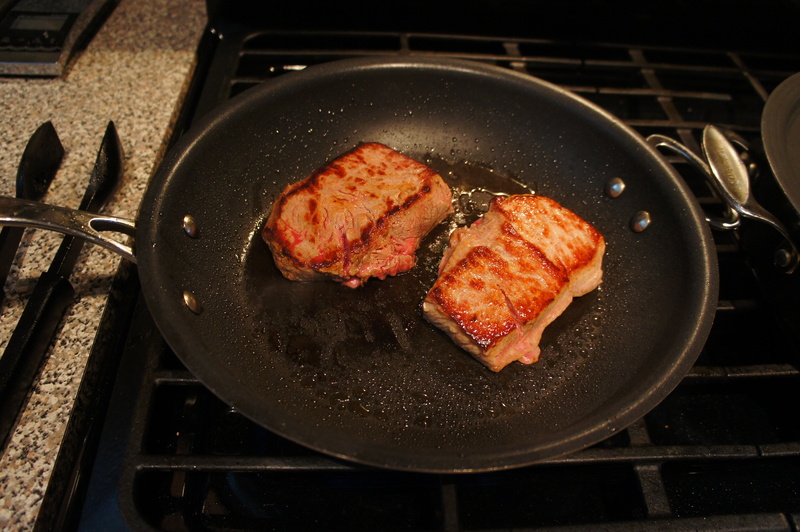 While sauce is thickening, slice steak thinly against grain. Transfer steak back to the skillet, stir and serve. 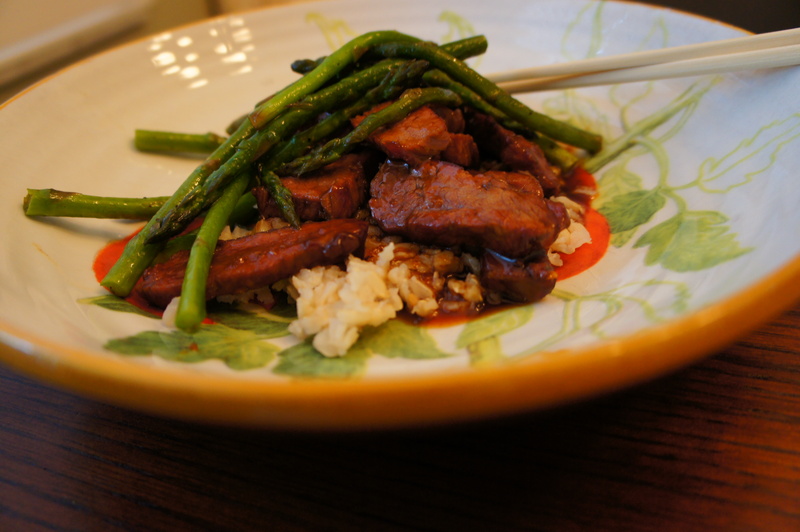 I enjoyed mine with asparagus sauteed in olive oil and brown rice. Rice cookers are GOD. Glad you’ve seen the light. that they are! they cook quinoa and oatmeal really well too.